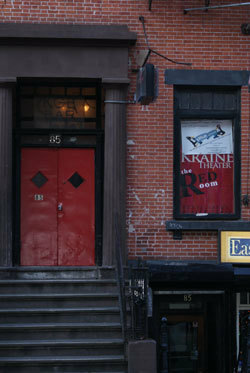 A Slight Headache was first written in 2000 to perform in a gallery called Workspace in Soho, NYC as part of a group exhibition titled “Living Dolls”. A number of objects from my installation titled “Black Rocks, Pearl Buttons” were mounted and the curator, Rene Lynch invited me to create a performance work making use of dolls. The inspiration for “A Slight Headache” was a recurring dream image of a room filled with women connected by their hair. When I began to write, this group of women became a mother and daughter. The story takes place between 1845 and 1875 because it was a time of great experimentation and progress, particularly in medicine and science. At the same time, it was unusual and risky for women to be on their own and self-supporting. To begin working on the objects used in the performance I sought out a master doll maker to learn the techniques to construct historically accurate reproductions of porcelain dolls and studied wig making and hairstyles of the period to fabricate the hairpieces which connected me to each doll. 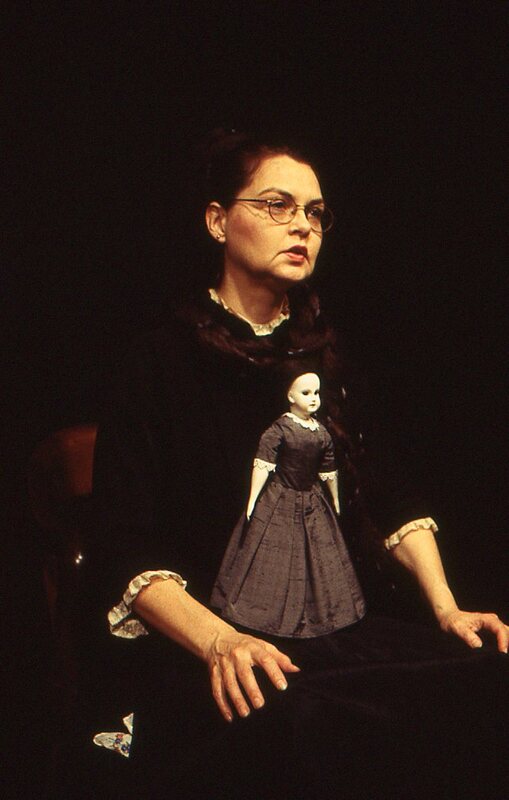 I played both parts speaking directly to the audience, being daughter when the doll was attached to my dress and mother when it was held away from my dress. A year later I performed the piece again as a work in progress at Dixon Place in NYC. For this presentation I further developed the script, costume and characters. 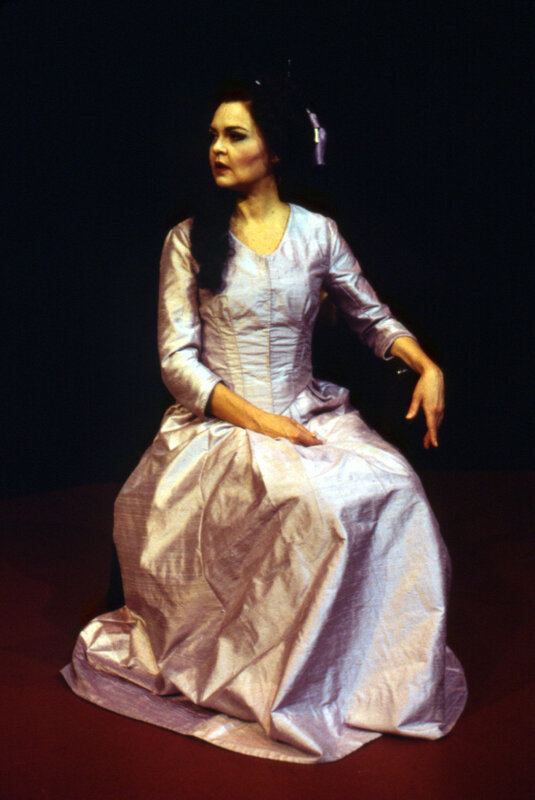 I did research on clothing of the period and used a residency at the Virginia Center for the Creative Arts (VCCA) to construct an historically accurate dress, bustle and undergarments using patterns drafted from original garments of the year 1875. 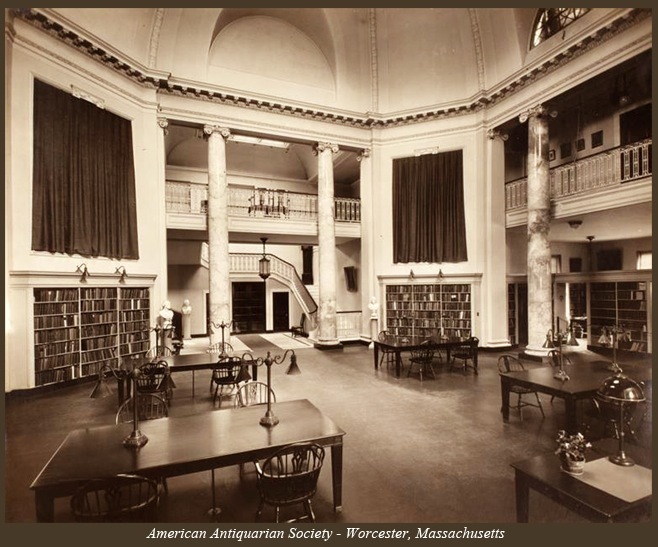 (see performance photos) I also used the Sweet Briar College Libraries to do research. The performance at Dixon Place in 2002 was well received and I continue to develop the project. In May of 2003 I successfully performed A Slight Headache as a site-specific event in one of the Victorian drawing rooms of the Metropolitan Club in Washington DC for the Virginia Center for the Creative Arts. 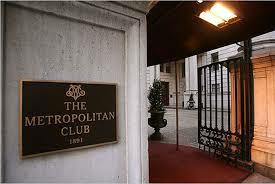 The Metropolitan Club, established in 1863 is one of Washington's oldest private institutions. 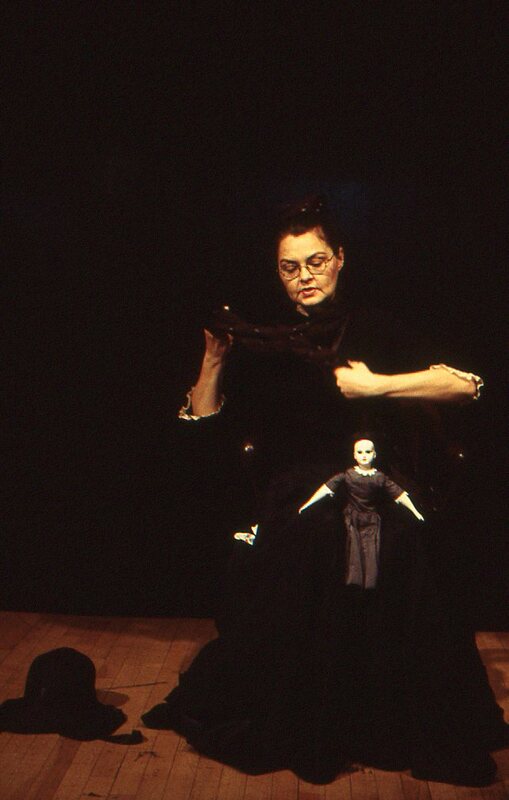 For this performance I eliminated the hair and doll. I continued to work on the characters and script developing the performance text and working with Director Daniel Alexander Jones to present this as a work-in-progress for an invited audience in December 2003. *Victorian Theatre, history and practice, especially the conventions of Melodrama. *19th Century attitudes toward fitness and health. *Medical and Scientific practices of the period. This area of research was of particular interest to me because modern scientific practice was beginning to take hold producing a rush of cross-fertilization between medicine and science. Some things developed into what we now consider orthodox practice, others did not. 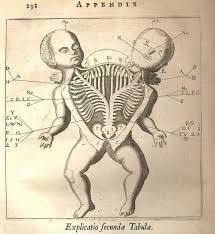 For example, Phrenology, the diagnosis of personality based on the shape and lumps of the head, eventually degenerated to the status of “parlor entertainment” but it was taken quite seriously during the 1800s and the seeds of modern neuroscience and psychology can be found in its theory. Miracle cures, medicine shows, demonstrations of such things as laughing gas and electricity took place while medical and scientific advancements such as Louis Pasteur’s germ theory of infection and Joseph Lister’s development of antiseptic surgery changed the face of medical practice. This was the perfect context for my story. I entered a ten-month collaboration with Director Maureen Brennan Huskey of Red Dive to explore new approaches to character and staging from a movement theatre perspective. We worked intensively on this direction for the piece and presented a workshop version in December of 2005 at the Mulberry Street Theatre. This version was also presented at Women’s Studio Workshop in June 2006. 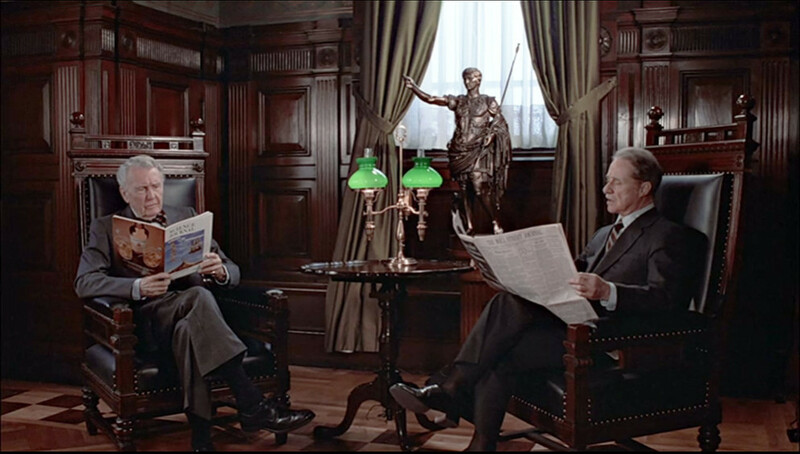 After reviewing the Mulberry presentations I decided to rewrite the script in order to establish more direct conflict between the characters and make the audience’s experience and participation in their conflict more immediate. I received one of five ENVISION professional playwright Fellowships awarded by Voice and Vision Theatre and began working with dramaturg Lisa Lindstrom. In 2007 I continued to work on the script and collaborated with E. Katrina Lewis on creating the music for the piano accompaniment. In February 2008 I presented the work in progress version of the new script at the Bowery Poetry Project that included the character of the pianist. The script was now ready to move to the next stage. In Spring 2008 A Slight Headache was selected to be an LMCC Swing Space Project and in August 2008 I completed the banners and curiosities while on residency at the Virginia Center for the Creative Arts (VCCA). I now had my final concept for the piece. The play would take place within a dime museum/cabinet of curiosities installation. The audience would be surrounded by the fantastical 19th century world of the Mother and Daughter the moment they entered the space. A barker would take them on a tour of curiosities – oddities collected by the two on their travels around the world and then be seated for a show. This show then disintegrates as the conflict between mother and daughter escalates. 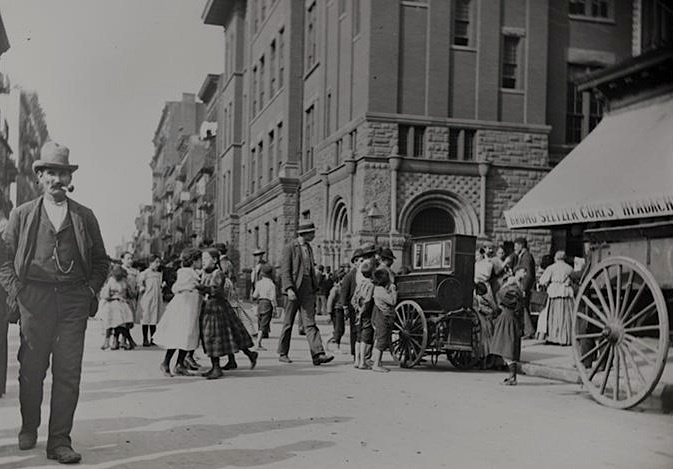 The Swing Space team at LMCC worked to secure the ideal 19th century location at the South Street Seaport Museum. It was now time to assemble a production team and work on the final plans for the installation and performance. I began to work with Director Jessica Bauman on regular play rehearsals. In April I began collaborating with costume designer Emily Pepper on the costume and wig concepts and fabrication. In August I had a residency at the Virginia Center for the Creative Arts where I painted the side-show banners and began creating the curiosities. In October Jessica and I consulted with Dan Hurlin on a shadow puppetry concept for part of the show. By January the collaboration with South Street Seaport Museum was finalized and Robert Eggers had joined the team as production designer. The show premiered in March 2009. Since the 1970s, Alyson Pou has incorporated film video, theater, dance and sculpture in a highly individual, frequently autobiographical aesthetic. Pou’s recent production “A Slight Headache” recalls themes that have appeared in many of her past projects. Pou’s “Black Rocks, Pearl Buttons” (1997) is a visual/performance work in which found objects, family keepsakes, natural history, and archeology were woven together to explore the power of memory and association. “To Us At Twilight” (1995) was similarly themed. Thirty black dresses covered the floor and were folded, worn, piled and moved as a heritage of southern graveyards, bad blood, secrets and family loyalties were explored through a collage of dreams, recounted stories, objects, movement and tableaux. “Danger House” (1987) featured five women, three girls, a stilt-walking magician, and music by William Basinski. The audience was presented with a series of stories and images woven together to created a beautiful, yet disturbing world. Pou’s concerns in this piece were isolation, women’s relationship to physical and non-physical violence, and the dichotomy of social conformity and spiritual freedom.